The kids and I went exploring down by the shore after school today. 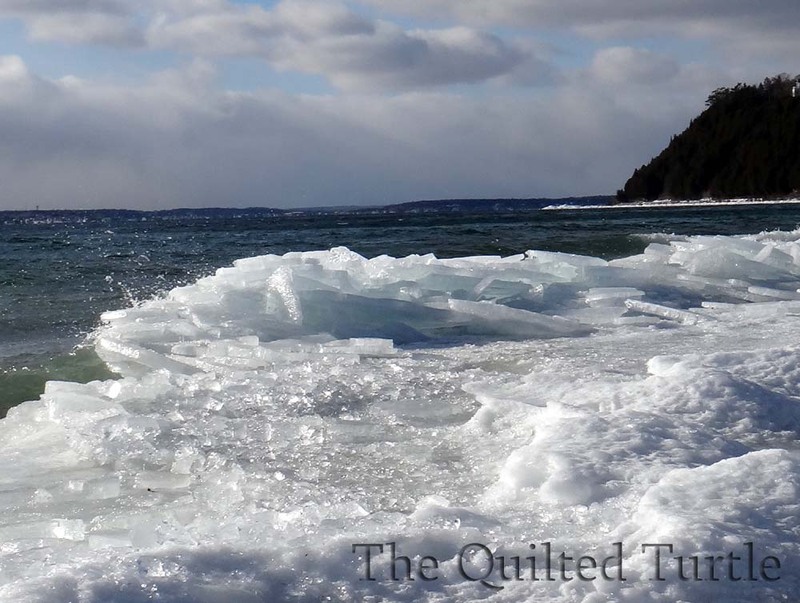 It was rather blustery, so sheets of ice were piling up on the beach. 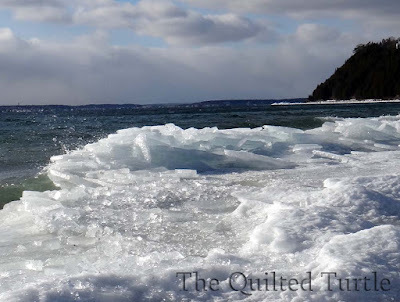 Not very much ice though, it's nothing like some past years.